Taking Y3T For A Test Drive: Week 1 - Compound Movements! Roger Lockridge is taking Neil 'Yoda' Hill's Y3T program to the gym for a full body workout. 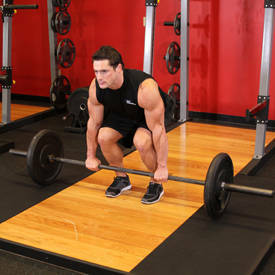 Read on to see how he handles week 1 of this training program! If you have read the previous article I wrote on Bodybuilding.com about Yoda 3 Training (Y3T), then you already know that I am testing this legendary program out for myself and reporting back to you the readers of Bodybuilding.com about my results. This is my first report covering Week 1 of my Y3T experience. If you haven't read about Y3T already, you can check out my first article covering this great system. In short it is a three week cycle training program that was designed by Neil "Yoda" Hill, retired IFBB Pro bodybuilder, columnist for Muscular Development Magazine, and trainer to some of the biggest names in the sport of bodybuilding today, including but not limited to Gaspari athlete James "Flex" Lewis and Nutrex athlete Zack "King" Khan. 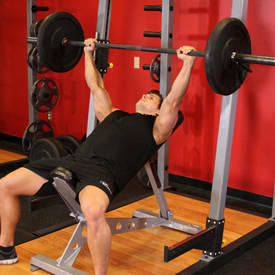 Week 1 covers heavy, basic compound movements only for 2-3 sets of 6-8 reps. 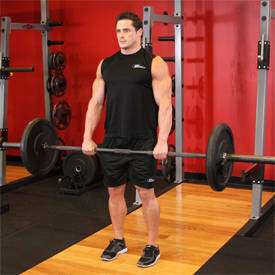 In Week 2 you add an isolation movement and increase the rep range to 8-12. Week 3 is the big and intense week that Neil calls "Total Annihilation" where you use many different techniques and movements to exhaust the muscle group in a short amount of time with no rest in between the sets. On each day I trained this week I used the same plan for both pre and post workout. One hour before training I had breakfast which was oatmeal and one scoop of ON 100% Whey Protein. 30 minutes before training I took USPLabs Jack3d and ON Opti-Men multivitamins. During each workout I had Scivation Xtend ready to drink in between sets. Finally after training was done, I took GENR8 Vitargo and two scoops of the 100% Whey so I could recover quicker and better. I would have a chicken salad about one hour afterward. I want to focus on upper chest and need a break from flat movements so I did this routine to accomplish both of those goals. Notes: The 100's were as high as the dumbbells go so I compensated by doing four second negatives. Also I hadn't done declines in a while so I did 225 to feel more comfortable. Afterward I realized I could have gone heavier and will next week. I rested for 90 seconds in between each set. For back I want to really concentrate on thickness and improve my lower back so this is how I did that. Notes: I have dealing with some elbow pain and going wide on the pull ups was hurting my elbow more than helping my back so I opted for the neutral grip instead. I leaned back a little more to compensate for that. 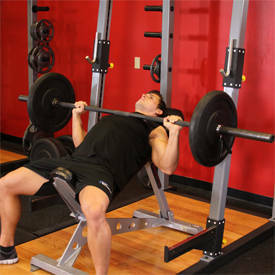 I also did 4 second negatives with the rows as I did yesterday with the incline presses. I rested for 90 seconds in between each set. I was looking forward to leg day most of all. My hamstrings and quads are what I want to bring up most of all. With my quads I went wide today and will go close next week. On hamstrings I focused on the negative a lot. I started with quads followed by hamstrings. I rested for 90 seconds in between each set. Notes: I feel the Xtend made a difference today. I felt good considering my legs are what I feel need the most help. I did 5 sets of 20 reps on seated calf raises also afterward. I rested for 90 seconds in between each set. I feel shoulders are one of my better muscle groups, but I still want to get even better so there was no going easy on them. Notes: After this I did 3 sets of 10 reps of barbell shrugs with 315 pounds. Today is the first time I got the 100's on all three sets. I am proud of that. I rested for 90 seconds in between each set. Notes: This is the first time that I have done arms without alternating between biceps and triceps in a long time. It was different, but I felt good and had no elbow problems. I stopped on the third set of dumbbell curls because I was having to cheat a little and decided to stop. I rested for 90 seconds in between each set. I finished out the day by doing the 10 Minute Ab Training routine found on the Bodybuilding.com Video Articles page. None of these workouts took longer than 30 minutes and the shoulder workout was only about 20 minutes. I was on a tight schedule most of this week so that worked in my favor. Mentally it was tough not to do more because I normally train with more volume, but I know that the first week is more focusing on training for power and resting your muscles so they are ready for week 3. The Vitargo made a big difference in my recovery. I had little soreness following the workouts. Leg day wasn't even that bad in terms of next day pain. That is a big plus for me. Next time I will cover Week 2 of my 3 Week Y3T training experience. To find out more about Neil Hill or Y3T, you can either check out Muscular Development magazine or go to www.gasparinutrition.com. To find out more about me or to contact me, check me out on BodySpace under rocklockridge.